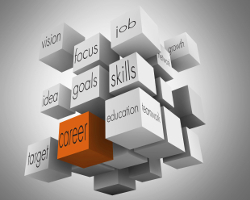 It’s our job as careers advisors to know what employers are looking for. We talk to them all the time and make sure we get their tips on what they’re looking for. Since this is peak application season, I asked Martha Jeacle, Legal Recruiting and Associate Development Manager at US law firm Davis Polk & Wardwell London LLP, what she looked for in CVs and applications generally. Here’s what she said. It’s good advice for all sectors. 1. How can you be contacted? You want to be easily contactable, so make sure to include an email address, a mobile telephone number, a land line and a postal address. It’s also helpful to include an address during term time and a permanent address. Make sure they’re up to date! If your contact details change after you have applied, let the firms you are applying to know. Use a professional email address: partypartyparty@party.com is not ideal for serious graduate applications! Communications with employers should be professional at all times, so be mindful of typos and spelling errors in all email traffic, setting up interviews, asking questions, etc. Recruiters have sharp eyes, and will notice small details. Spelling errors and typos are an absolute no-no in applications. Graduate recruiters look for attention to detail (lawyers in particular demand this). You don’t want to fall at the first hurdle. Double and triple check your CV and cover letter for errors and be very careful with spell check. Read, re-read it, and have a friend or careers advisor read it. A fresh pair of eyes can be invaluable. Be absolutely certain that you have the name of the firm correct (Davis Polk, not David Polk, for instance!). You won’t be surprised to learn that applications with incorrect firm names do not generally progress! Send your CV as a PDF and not in a Word document. Word documents sometimes have tracked changes on them, allowing the recruiter to see your edits. 3. Avoid cutting and pasting at all costs. You only have one or two pages and you need to pick experience and information that is relevant to the specific role you are applying for. Be concise! Demonstrate your ability to be succinct right from the get go. A cover letter should not be more than one page and a CV certainly not more than two pages. Do not achieve this by using a really small font. Use your editing skills instead. Include your grades in your CV, so they are easy to spot. State the obvious. Recruiters don’t want to spend a lot of time searching for relevant information, so clearly set out when you graduated or your expected year of graduation. If there are gaps in your CV, (when you took time out to travel or work, for example), briefly explain them, either in the CV or in the cover letter. If you graduated two years ago, let firms know what you have been doing since you finished. Provide them with as much information, but in as few words as possible! Go to careers fairs on campus and any networking events put on by employers you’re interested in. It’s a great opportunity to make contacts and drop some relevant information into a cover letter. Employers write the content on their websites, so if you regurgitate it back to them, they know. If you have a conversation with lawyers or recruiters at a careers fair or over drinks at an information session, you’ll learn more about the firm and the kind of work they do, than you can from reading their website. Set out in your cover letter what you found interesting about the firm or why you think you want to work for them. If you are invited to interview, ask who you are scheduled to see so that you can do some research on the individuals – it may come in handy.